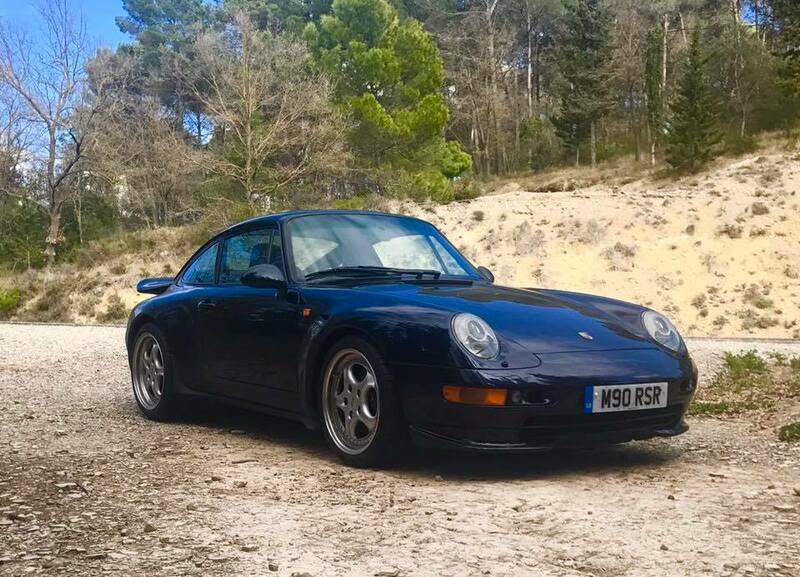 911uk.com - Porsche Forum : View topic - Are you intending to put miles on your 993 this summer? 911uk.com Forum Index > 993 (1993 - 1998) > Are you intending to put miles on your 993 this summer? Posted: Thu Apr 12, 2018 6:53 pm Post subject: Are you intending to put miles on your 993 this summer? Assuming we do get one, which doesn’t look like happening anytime soon. I admit to storing mine during the winter months but I put over 3k on it last year and am about to put at least 1k on it over the next couple of weeks on a continental trip starting tomorrow. I’ll no doubt be reducing the value but I cannot look at this fabulous car as a high performing ISA. (Not sure it’s actually that high performing any more tbh, I get the impression that prices have flattened for all but the low mileage ones and S models). I will also be using it on high days and holidays over the next few months, can’t resist it when the weather is fine and I can open that brilliant targa roof. Early weekend morning drives are the most satisfying before the world gets on the roads. So, are you living the dream or just looking at it, fearing devaluation every time you drive it? Mileage: Don't think of it as losing value, think of it as investing in memories! Yes - Le Mans 24H trip in June and then to South of France, probably July. No idea why anyone owns such a machine and doesn't use it to the full. Couldn't give a monkey about the miles, over 100k now so it's worth peanuts anyway. These cars love to be used, so any excuse for a blat is good with me. Absolutely agree - use mine a lot. I've just driven down the M4 from Reading to Bath in poor conditions (dark and raining). A boring drive in most cars, a pleasure in my well sorted high mileage 993. I do need to improve my headlights, however. Headlights = Tore B kit + Morimotos + Cyclops Led main. In that order. No excuse for putting a few miles on in the dark now. Mine lives inside but certainly doesn't hibernate. Hoping to put more miles on it this year than last. yes, 7500 limit on the insurance, but will do most of that. A couple of continental trips, plus regular uk runs. Posted: Fri Apr 13, 2018 4:30 pm Post subject: Re: Are you intending to put miles on your 993 this summer? Just did a 3k round trip to Barcelona and back, I had the front splitter sprayed a week before I left and now its peppered with chips.. I got my 993 for to drive fast and enjoy, thats what they are for right? People can do what they want to, if you want to look at them, cool, if you want to thrash the pants off them like me, then cool. Mine is used daily no matter the weather. Have thrown caution to the wind and it is my only car...estimate that I'll put around 9 to 10k on it given road trips etc. that I have planned so far. Will shortly be worth peanuts but ultimately who cares...it certainly doesn't depreciate like other cars and, as Tobes says, invest in some memories! Buy a picture and hang it on the wall. Mine's now back home after some serious further fettling by the good Doctor. Now looks and drives as if its come straight out of the factory . . . So yes, mucho mileage awaits . . .!! Off to Volterre Italy end of July fro a nine day holiday in the old girl. That will be around 2.5K miles over nine days . Saying that I’m 50 this year, going through a divorce, I’ve got myself embroiled in a ‘confusing’ relationship with a mad hot blonde woman (they’ve always been a weakness), and after owning various air cooled 911s for the last fourteen years, I might just sell her beforehand and buy a Fezza. I’ve never owned one, and I’m feeling the need for change. Anyone wanting to buy a 993?